Sensex at 20K : What should a retail investor do ? Back are the days when newspapers will be full of images of brokers cutting cakes and burning crackers celebrating the bull run. But images of investors looking at the trading screen with disappointment fail to fade away. After 2008, Sensex and Nifty have breached the 20,000 and 6,000 levels respectively for the first time. 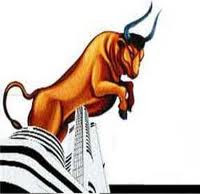 Reports show that the bull run is mainly due to extensive buying by the FIIs. Retail participation is not as high as it was when the markets touched these levels for the very first time. The reason behind this strategy of retail investors who are sitting on the fence and adopting a wait and watch policy may be that they have already burnt their hands when the markets tumbled after the Satyam debacle and the Reliance Power IPO. Also, there are two sets of advices emerging out of the experts for the investors. The first one says that as the markets are rallying, one should book some profit and exit. It is this strategy which does not allow the markets to sustain new highs as there is tremendous selling pressure as soon as the indices touch a new landmark. The second set of experts say that it is never too late to enter the market. You can still build your position and buy stocks at some dips, banking on the viewpoint that the bull run this time is going to sustain for a long time. For more than a week now, markets have been going green. But, this hyper optimism with a pinch of fear creates a very difficult situation for the retail investor. In such rallying markets, a small retail investor should not get carried away by the expectation of super normal returns. He should look at his portfolio, his bunch of assets first and then decide whether to stay invested, sell or buy, looking at his risk appetite. Suppose, your portfolio of investments consists of 70% stocks, 15% debt instruments and 15% gold and you want to stick to this mix of assets only, then during such a bull run, your stocks may have soared and may even consist of 80 or 90 percent of your total portfolio’s value. In this case, you should sell some stocks and rebalance your portfolio so that the mix of assets at the current market price stays intact at 70-15-15 . Following this strategy will further allow you to buy stocks whenever there is a correction in the market. By the time this article is posted, Sensex may have fallen below 19,500 or may even cross 20,500, but the thumb rule remains the same, that you should keep your eyes open towards the returns as well as the risks of investing in stock markets. Avoid being blind to the risk factors when the markets are bullish, after all, your hard earned money matters a lot. Let the markets rise . . .
2 Respones to "Sensex at 20K : What should a retail investor do ?"